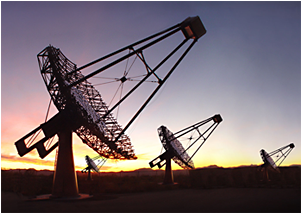 VERITAS is a ground-based gamma-ray instrument operating at the Fred Lawrence Whipple Observatory (FLWO) in southern Arizona, USA. It is an array of four 12m optical reflectors for gamma-ray astronomy in the GeV - TeV energy range. VERITAS (Very Energetic Radiation Imaging Telescope Array System) is a new major ground-based gamma-ray observatory with an array of four 12 m optical reflectors for gamma-ray astronomy in the energy range of 50 GeV - 50 TeV. The new telescope design will be based on the design of the existing 10m gamma-ray telescope of the Whipple Observatory. It will consist of an array of imaging telescopes which will be deployed such that they will permit the maximum versatility and will give the highest sensitivity in the 50 GeV - 50 TeV band (with maximum sensitivity from 100 GeV to 10 TeV). In this band critical measurements of SNRs and AGNs will be made. This VHE observatory will effectively complement GLAST well into the next millennium. Talk, EFI seminar: Nahee Park, University of Wisconsin, "Probing high energy particle dynamics in our Galaxy with multimessenger observations"
PhD Thesis Defense, Hao Huan: "Cosmic Gamma-Ray Propagation as a Probe for Intergalactic Media and Interactions"
PhD Thesis Defense, Stephanie A. Wissel, "Observations of Direct Cerenkov Light in Ground-Based Telescopes and the Flux of Iron Nuclei at TeV Energies"